For use in aviation applications, ships with TSO-C142a Pad-Pak. Other Notes: AED with 8 year manufacturer's warranty, adult AVIATION PAD-PAK (TSO-C142a), and custom-fitted soft carry case. 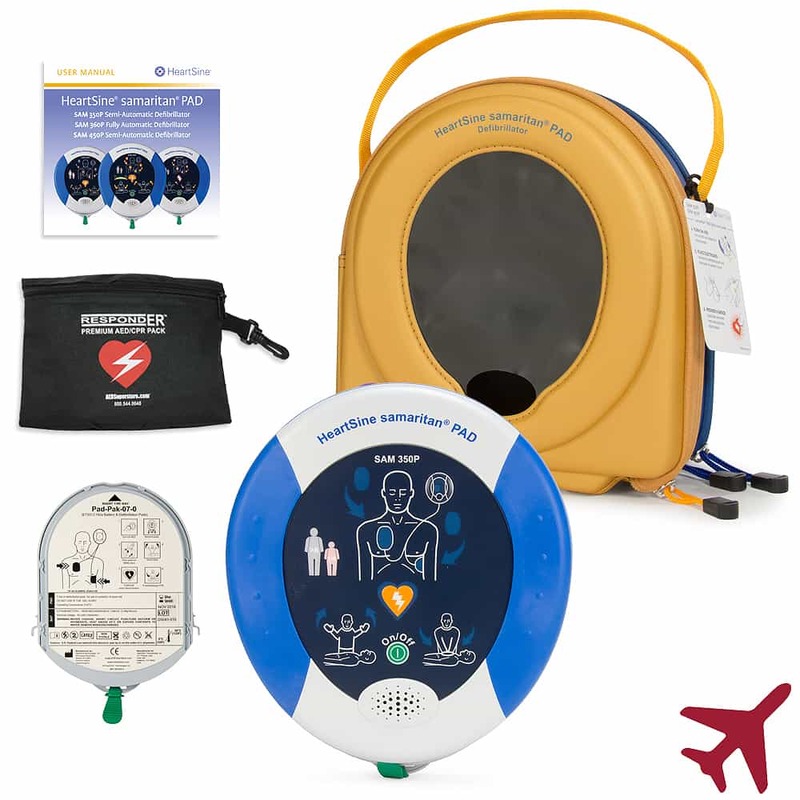 The HeartSine samaritan PAD 350P and 360P are simple to own automatic external defibrillators, designed to be durable, affordable and highly user-friendly – all in the lightest and smallest package available. The 360P option has all the features of the 350P in a fully-automatic device.